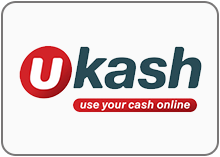 The best way to handle banking deposit requirements and to withdrawall money you have won playing online and mobile casinos. Visa & Mastercard: Use your Visa, Mastercard, Maestro and Electron card to make deposits instantly. With Visa, you can deposit and withdrawal at almost all casinos. It can be used all over the world. And the deposits are very quickly. Visa enables thousands of competing banks to serve the needs of millions of cardholders and merchants. Every day millions of consumers and merchants use Visa to make and receive payments around the world quickly and securely. Visa (Visa International Service Association) and MasterCard are both payment processing institutions that are each owned jointly by thousands of participating financial institutions that issue and market Visa and MasterCard products (mainly credit and debit cards). Other financial institutions (mostly banks) issue cards that use either Visa or MasterCard for processing payments. Neteller is the world's largest e-wallet. It is free to open a Neteller account and you can fund it by various mechanisms such as credit card, debit card, bank account, wire, ACH. With Neteller, you can transfer money to friends and family worldwide. Neteller is a listed company on the London Stock Exchange and offer customers a physical debit card and virtual card to make sure you always have access to your cash. NETELLER is an e-money/e-wallet stored-value service owned and operated by publicly traded British global payments company Optimal Payments PLC. People in over 200 countries use the NETELLER service to transfer money to and from merchants, such as forex trading firms, social networks, or online gambling firms, and can withdraw funds directly using the Net+ card or transfer the balance to their own bank accounts. 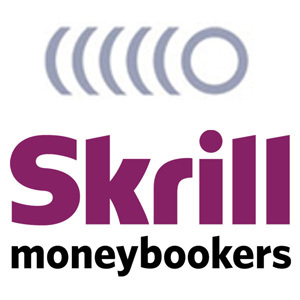 Skrill (formerly Moneybookers) is an e-commerce business that allows payments and money transfers to be made through the Internet, with a focus on low-cost international money transfers. It is owned and operated by Skrill Limited, a UK-based company registered as a Money Service Business with Her Majesty's Revenue and Customs, regulated by the Financial Conduct Authority and licensed to operate within the European Union. Paysafecard is an electronic payment method for predominantly online shopping , based on a pre-pay system. Paysafecard is based in Vienna, Austria and has been in existence since 2000. Exchanging cash for Electronic Money (for use online) is facilitated through paysafecard in many countries worldwide. A secure 16 digit PIN printed on a card Paysafecard in the UK, (10, 25, 50 or 75) Pound. EcoCard is one of the oldest e-wallets available. Their experience and product gives customers the ability to transact quickly and in a completely secure environment. Can provide instant transfers - support is available in English, German and Czech language. 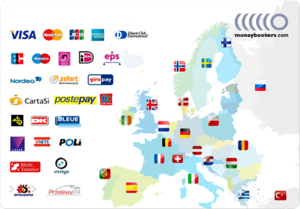 Click2Pay is Europe's leading payment service provider, offering you a flexible e-wallet solution. 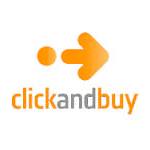 Click2Pay can be funded by several options. With an ATM and Debit card as part of their product offering, you will soon be wondering why you never tried Click2Pay before. Sign-up now for free and experience hassle-free deposits in an instant. Free spins no deposit offers are the safest casino bonuses that players can claim on sign up as a new registered member of the choosen online casino. No guarantee that you will win, but you can be sure not to lose any money when using free casino bonuses. These no deposit promotions with free spins or free casino chip will allow you to play without any risk. 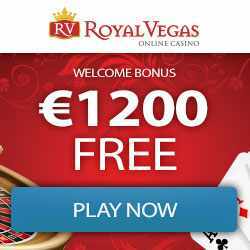 Find here some of the best online casinos with a lot of attractive promotions and discover the most popular slots and latest new games to play.